Today's IT pros are focused on optimizing costs and increasing efficiency while conducting low-risk pilot programs on how to innovate with technology. In Washington D.C., cloud communication tools may lend a particular flexibility and security to highly-regulated firms. Currently, 85% of organizations have a multi-cloud strategy in place, which accounts for an estimated 79% of enterprise workloads. Cloud communication tools are a method of delivering business communications, typically unified communications as a service (UCaaS). Instead of hosting your voice-over-IP (VOIP) telephones and apps on-site, you can take advantage of direct connectivity to a cloud vendor for more agile, integrated, and fast communications. The benefits range from cost-savings to the ability to change your apps and phone lines in near real-time. Find out more with mini case-studies of D.C. businesses leveraging the benefits of cloud communications. A public school system requested same-day phone service installation on a Friday afternoon, which was possible even with limited staff due to their fiber-optic Internet connection. An investment firm needed their bandwidth doubled immediately to meet a hard deadline for uploading several gigabytes of data to a streaming platform, which was delivered due to their cloud connectivity. An architecture firm requested a same-week drastic restructuring of their public and private cloud workload to support a transition to national, remote work. Their request was met, as the service was delivered same week. 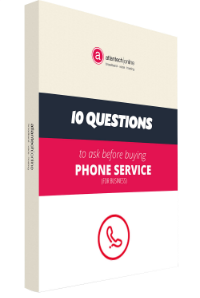 For more in-depth examples of how a commitment to customer service and cloud communications results in fast response time and cutting-edge service, check out Atlantech Online Reviews: Feedback from Customers. Cloud communications are possible when services are delivered via a single (or redundant), dedicated port connection to a cloud vendor. Many organizations conduct cloud communications through their general Internet connectivity. While this work from a technical standpoint, their communications with the vendor's data centers are not as secure, fast, or reliable. More in-depth insight can be found in What is the Best Way to Connect with the Equinix Cloud Exchange? 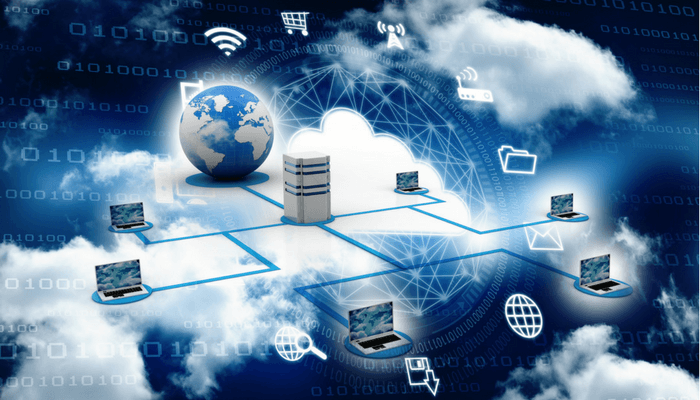 How Could Cloud Communication Advance Your D.C. Business? 40% reduction in bandwidth costs, delivering the potential for you to scale your connectivity to project demands without massive cost investment and gain efficiency. While it is more difficult to quantify, IT professionals at D.C. firms should also consider the information security advantages of the cloud communication platforms. The average information security incident now costs organizations $4 million in clean-up and reputation costs. By partnering with a Cloud Communications vendor who focuses on regulatory compliance and business continuity planning, there are massive benefits associated with risk reduction. And, even better if they offer UCaaS services, too, as you can get all your needs met by a single vendor. Any major IT transition can appear to be a daunting task, especially if you'll be navigating the first-time installation of a fiber-optic internet connection. Fortunately, with the help of a partner like Atlantech Online, most of the headaches of transitioning can be outsourced. A skilled partner can help you evaluate what's possible with your specific needs and budget, set a reliable timeline for implementation, and help you integrate your communication apps into a centralized suite. To learn more about how your organization could drive ROI, security, and cutting-edge communications with the help of Washington D.C telecommunications partner Atlantech Online, click here.